I don’t believe that there is a single person in the world who doesn’t like to get pampered. For me getting pampered on Luxurious Trip to Kerala is going to a nice resort, getting massages, enjoying spa days and sipping cocktails while I laze around and lounge in the sun. This definition of getting pampered could differ from person to person but a good resort and fine ambience never hurt anyone. And sometimes, we don’t mind spending a little too much on these sort of luxuries if it guarantees you have a relaxed and lazy vacation. Here is a list of some of the leading resorts and spas in Kerala for a luxurious stay in God’s Own Country. Are they expensive? Yes, probably. Are they worth it? Yes, absolutely. Vembanad Lake is probably one of the most beautiful and tranquil lakes in Kerala. 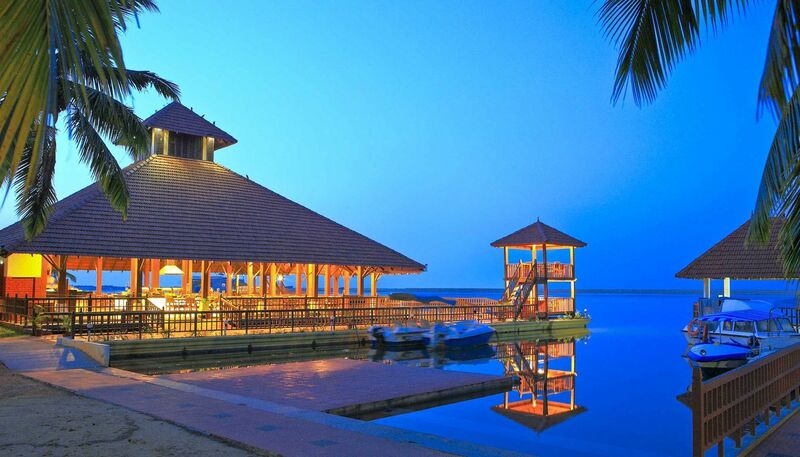 Kumarakom Lake Resort is situated in the banks of this gorgeous lake. With a beautiful view of the backwater and picturesque sunset skies, you will find yourself enjoying your stay here to the fullest. The resort also provides house boat rides so you wouldn’t even have to contact other outside agencies for a cruise in the lake. Also, Prince Charles, on his visit to Kerala decided to celebrate his 65th birthday here. The Prince wouldn’t make a wrong decision now, would he? 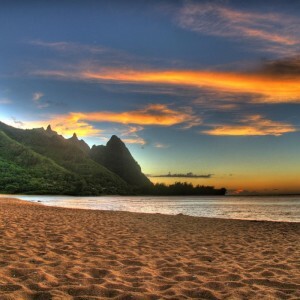 Beaches are and will always be my one true love. 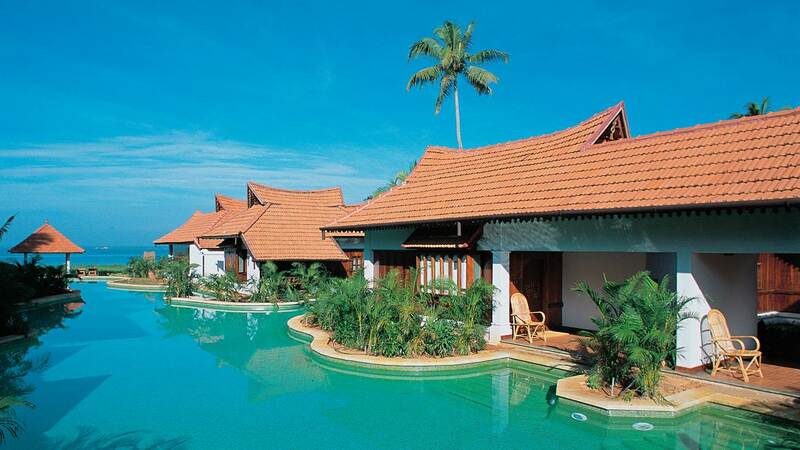 Poovar Island Resort is the beach resort you want to go to if you want a vacation on water. Literally on the water. The floating cottages at this resort are something of a “fun stay”. 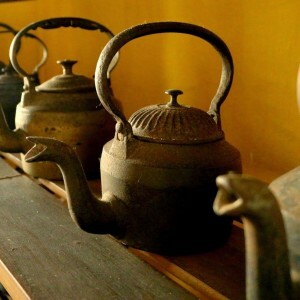 You can also book Ayurvedic treatments at this resort which are sure to leave you more rejuvenated and refreshed. There are yoga facilities also available at the resort which travellers are free to utilise. You can even pick a package which will suit your stay to make it easier to chill. Amidst luxury just don’t forget to go to the beach. If you wake up one morning and it looks like beach weather, don’t hesitate. At least jump in the pool if the beach is too much bother. Poovar Beach Resort combines nature and wellness with serene property, fine accommodation, delicious food and friendly service. Kerala is famous for its authenticity and indigenous life styles in the rural areas. Many people take trips to Kerala just for a nice, quiet vacation where they can pamper themselves with massages and food whist living with peace and privacy. 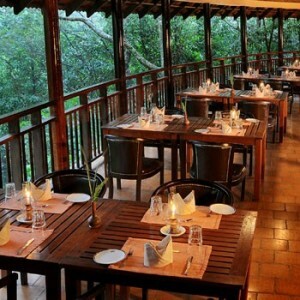 Banasura Hill Resort has been widely credited for being true to nature and its ways of living. The mud cottages here are an absolute delight to stay in and the dense greenery around the resort is refreshing. I also remember trekking through the hills and finding a waterfall the hotel staff had mentioned about. We even found some natives and one of them let me use his bow and arrow. I did not do well in archery, but that was a fine experience. At the resort you can surely treat yourself to one or more massage sessions and eat all the Kerala food items they have at the restaurant. Eating, sleeping, massage sessions and some archery lessons from the natives. Isn’t that a perfect holiday? Hill stations are one of the best places to enjoy luxury. Best part of hill station resorts is that you can choose to stay indoors under the blankets or by the fireplace with a book; go out trekking through green hills or even go into pools if you can withstand the temperature. I always feel like time runs slower in the hills and you can laze around all day and cut yourself off from the world below in the calmness of hill station resorts. I really like how Devonshire Greens in Munnar asks you to “plan a date with nature” in their official website. That is the exact term I had been trying to coin down while talking about resorts in hill stations. 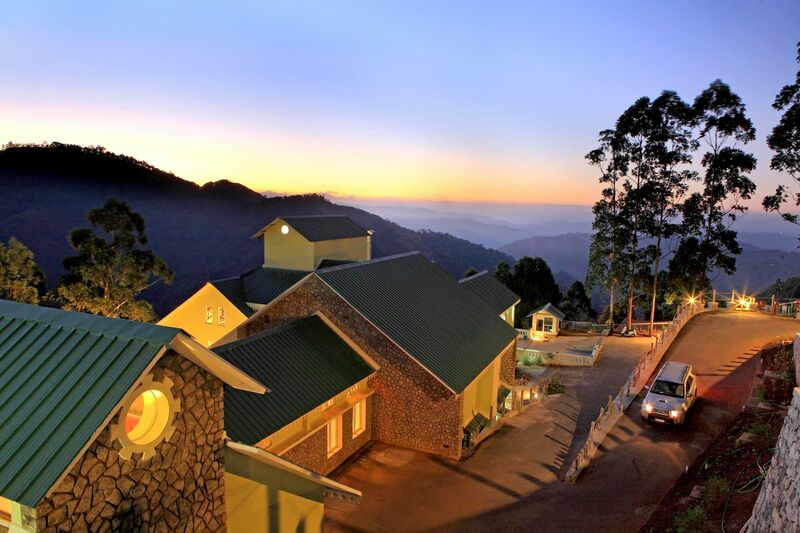 The view from this hotel and the tea gardens and waterfalls you can explore on a trek is probably added benefits to this resort which is already getting brownie points for its staff, facilities and food menu. Well done, Devonshire Greens, well done. The Old Harbour Hotel in Kochi deserves special mention in this list of luxurious resorts in Kerala. This building has always been something I ogled at during my trips to Fort Kochi. It is old; it is beautiful and it somehow manages to look cute majestic at the same time. This hotel was once a heritage monument of 300 years of age. Today, we get to stay in the hotel and see the Kochi city from the windows of architecture influenced by the Dutch and Portuguese. 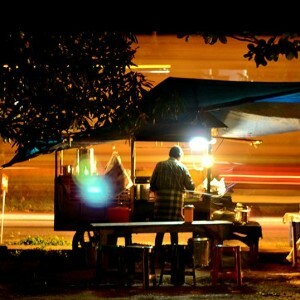 The food, the environment, the surroundings and even the character of this place makes you want to come back. If you are in Kochi and you want to stay somewhere, go here. You wouldn’t complain. 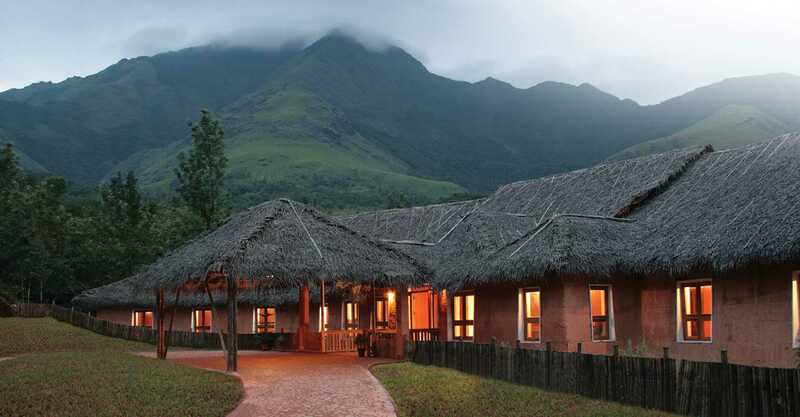 Each and every tourist destination in Kerala has a few luxury resorts which serve to make your stay pleasant and easy. A resort vacation is nothing to be looked down upon. Sometimes all one needs is a few days with nature. And during these vacations the aim is not exploring the place or its culture but just some “me” time. The resorts I have mentioned are only few of the many resorts you will find online. These are the ones I found to be the best. Check them out. I don’t think you will be disappointed. PREVIOUS POST ← Goa or Kerala : Where to go next?